The Lion King is undoubtedly one of the much-loved classics of West End and adapted from one of the blockbuster Disney’s animated classic movie. The mesmerizing story is about a young cub, Simba and his struggles to reclaim his kingdom back from his evil uncle Scar. To usurp the throne, Scar killed his brother and Simba’s father, Mufasa and mother Sarabi. The award winning London show is a beautiful inspiring saga about the struggles and hardships of the young cub. In the year 1997, The Lion King made its grand Broadway debut under the superb direction of Julie Taymor. To recreate the magic, the spectacular production features a number of puppets and masks along with some new soundtracks. The show also featured various puppet styles, such as hand-held, shadow puppets, etc. Another key highlight of the show is chartbusting musical numbers. The Lion King features chartbusting African rhythms and musical numbers by immensely talented African composer Lebo M. The show also has award winning score by Elton John and Tim Rice. Year 1999 marked the debut of The Lion King at the Lyceum Theatre and since then running with houseful shows. The show is enjoyed by more than 85 million people across the globe. The show features heart touching classics like Circle of Life, to the joyful I Just Can’t Wait To Be King, and the soaring ballad Can You Feel the Love Tonight. The magnificent Lyceum Theatre London is one of the largest London Theatres with occupancy of 2100. 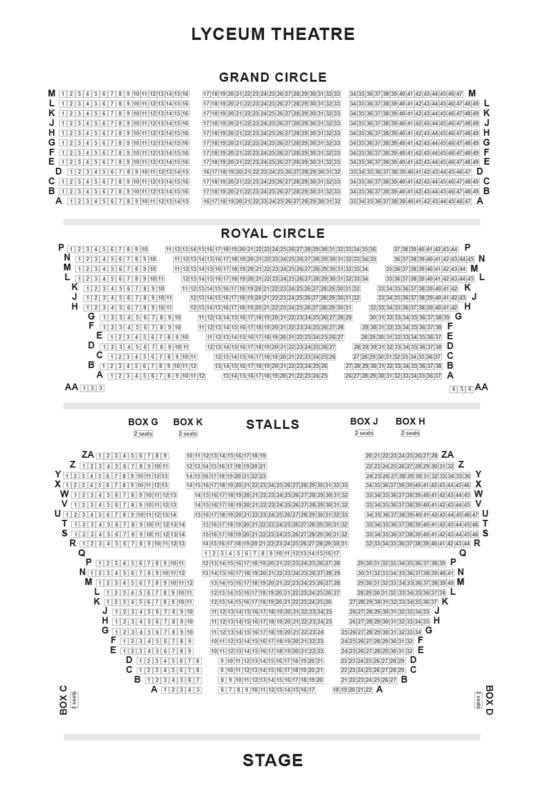 The seats are spread all across three levels as The Stalls, Royal Circle and Grand Circle. For the disabled guests and their carers, theatre is also offering concessions. The stunning theatre is positioned in Covent Garden. It is one of the most vibrant and lively part of the city in the Theatreland of London. The lyceum theatre is located close to varied range of restaurants, high street shops and various other tourist spots such as London Transport Museum, Covent Garden Market and the Royal Opera House. Soho, Leicester Square and Chinatown are also located at a nearby distance from the theatre. Lyceum Theatre is accessible via various modes of commutation such as buses, tubes, taxis or cars. Located in Westminster on Wellington Street, Lyceum Theatre is just off the popular strand. The magnificent theatre dates back to 1772 and has undergone various changes since its inception. Samuel Beazley designed the current theatre and was opened with a balcony that overhangs the main auditorium. During its initial years, Lyceum Theatre has been used for varied purposes such as circus, a chapel, a concert room, a waxworks exhibition, an opera house and a ballroom, and traditional theatre. Currently, Lyceum Theatre is running Disney’s classic musical The Lion King. The blockbuster show has enthralled 8 million theatergoers. The show opened in the year 1999 and still ruling the hearts. The show has won various critical and massive acclamations. The building of Lyceum Theatre remained unused for ten years. The theatre was restored in the year 1996 by Holohan Architects. During the era of 60s, 70s, QueenLed Zeppelin, The Grateful Dead, The Who, U2, The Smiths and Culture Club performed here. The theatre underwent refurbishment in the year1996 followed by hosting some spectacular musicals such as Oklahoma and Jesus Christ Superstar. On Sunday night, a fire broke out in a flat above the Lyceum Tavern when the passers by reportedly saw thick black smoke from the upstairs window. According to the London Fire Brigade, approximately 50 people had been forced to leave the building, but there is no news of any injury. The historic pub is located in the heart of the London Westend and was constructed on the site as well as in the style of original Lyceum Theatre. On February 16, 1830, theatre was destroyed by fire. Until 1840, the alehouse was `termed as White Horse, whereas the current pub dates back to 1906. He further stated, “I can’t stress how important it is to have a smoke alarm on every floor of your home and to test them regularly. If this building didn’t have a smoke alarm there could have been a very different outcome. The crew's speedy work contained the fire quickly which helped minimise the damage and nearby police officers helped to evacuate the pub." The blaze is under investigation and has been attended by six fire engines. The hugely loved show, The Lion King has become one of the most successful and grossed more money as compare to any other movie or show in the history. Recently, Walt Disney confirmed the proud announcement of their box office success. TThis summer box office recorded a worldwide ticket sales which crossed $6.2bn ($3.8bn) and has churned out more money than some of the blockbuster movies such as Star Wars film, Titanic and the highest grossing film of all time, Avatar, which took $2.8bn (£1.7bn). The Lion King made its Broadway debut in the year 1997 and has been enjoyed by more than 75 million people and 22 productions across the globe. The show has crossed the mark of highest grossing musical Andrew Lloyd Webber’s, The Phantom of the Opera, as the latter has been running since 1986. The show has become one of the longest running show in the history of Broadway. Approximately 130 million people have viewed the show. Cameron Mackintosh, the producer of Phantom and The Really Useful Group said The Lion King as “The Pride of the Broadway” and congratulated for achieving the landmark. The Lion King has crossed the mark of highest grossing musical Andrew Lloyd Webber’s, The Phantom of the Opera. Latter has been running since 1986 and also the longest running show in the history of Broadway. Approximately 130 million people have viewed the show. Producers of Phantom Cameron Mackintosh and The Really Useful Group said The Lion King as “The Pride of the Broadway” and congratulated for achieving the landmark. Year 2009 marked the tenth anniversary of popular Disney’s classic show and was attended by the Prime Minister David Cameron and his wife, Samantha. Former UK First Lady Cherie Blair also enjoyed the show same night. The anniversary was attended by some other big names such as James Earl Jones, the voice behind Mufasa in the original Disney movie. During that time, he was featuring in Cat on a Hot Tin Roof in the West End. His fellow cast members Phylicia Rashad, Adrian Lester, and Sanaa Lathan also attended the show. Popular TV stylist Gok Wan also attended the grand show. The gala event was attended by former cast members such as singer Javine Hylton, Vanessa White of the girl group The Saturdays, and rapper Master Shortie. Other popular names that attended the celebrations were comedian Justin Lee Collins, singer Beverley Knight, TV house hunter Phil Spencer, and model Lisa Snowdon. In the year 2009, Michelle Obama along with daughters Sasha and Malia enjoyed the show The Lion King. Mr, Obama was busy with his commitments back in Washington. Olympics Diving Bronze medal winner, Tom Daley celebrated his success by enjoying the show in August. 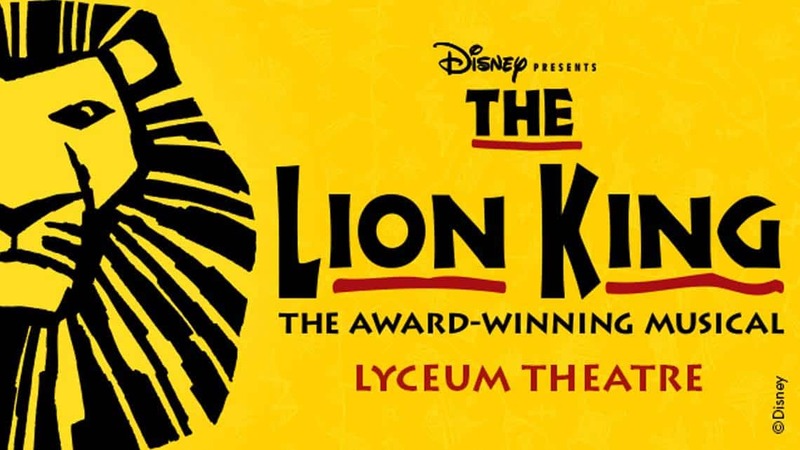 The award winning Disney’s London musical, The Lion King has made its grand entry into its 19th year at the Lyceum Theatre London. The blockbuster animated classic has been recreated by Julie Taymor at the Lyceum Theatre. The sensational London classic has been set against the majesty of Serengeti Plains featuring the provocative rhythms of Africa. This August the magniifcent show, The Lion King is all set to present its first autism-friendly performance and opened doors for those who are affected from this condition. The special performance will be done in collaboration with the National Autistic Society. On 30th August, the show will take place at 13:30 at the Lyceum Theatre London. The spectacular London production is a magnificent amalgamation of vibrant colours, stunning effects and heart touching music. The Lion King is a timeless saga of Simba and his epic journey to reclaim his kingdom back from his evil uncle Scar as the King of Pridelands. Julie Taymor is truly considered as one of the most innovative directors of the world. The mind blowing London show, The Lion King is adapted from the book by Roger Allers and Irene Mecchi. Heart touching musical composition by Elton John makes the show a memorable experience for the theatre lovers, whereas Tim Rice and Elton John have penned the lyrics. Since 1999, the award winning London show, The Lion King is ruling the hearts of theatre lovers. The show is a complete masterpiece for family entertainment. Renowned for its breathtaking and stunning performances, the show is all set to blow your mind. Most of the audience members would have ignored costumes painted the exact colour of performers’ skin – elements of design, stage and props. Although, the stage of Lyceum is not quite big still it has effectively recreated the essence of Pride Rock which is simply magical. The show is not a complete replica of the movie version. Julie Taymor’s astonishing mastery in puppetry leads to drive some wonderful performances from both the performers as well as animal characters. Some amazing performances from the child stars and other performers make the show a complete delightful experience for all. The award winning London show, The Lion King has entertained more than 13 million theatre lovers. You can make your London show experience memorable by enjoying a remarkable stay at the nearby London hotel. If you have arrived 45 minutes before the show then get set for a memorable time in a stylish restaurant. A pre-theatre treat with mouth watering menu is a great way to spend lovely time with your beloved. Enjoy gluten free and dairy free menus, sensational food and quality time which will remain in your memories forever! So, get set for Lyceum Theatre London which is located at an accessible location and can be commuted via various modes of commutations such as buses, tubes, taxis and cars. Some of the most popular tourist spots like London Transport Museum, Covent Garden Market, the Royal Opera House, Soho, Leicester Square and Chinatown. The stunning theatre is founded in one of the most popular area known as Covent Garden. The venue is one of the most vibrant and exciting part of London city. Some of the finest restaurants and bars are also located here. The magnificent London show, The Lion King has some amazing breathtaking visuals. Julie Taymor’s Tony award winning animal puppet costumes are outstanding. The lively puppets beautifully exhibit the brilliance of puppeteer. The magical world designed by Julie Taymor still touches the heart chord as it used to do 15 years ago. King Mufasa’s loveable Zazu, portrayed by Harold Gossington is simply adorable. He forms a great chemistry with Simba and Nala in the first half of the show. Shaquahn Crowe and Kira Spencer Brown portrayed the role of Simba and Nala with conviction. With stunning costumes and magnificent sets, the show is a complete visual treat for all. Elton John and Tim Rice’s brilliant musical compositions make the show a worthwhile experience for the theatre goers. Some of the chartbusting musical numbers are hyena’s cheeky song "Chow Down", "The Lioness Hunt", chanted in Zulu, "Circle of Life" and "He Lives in You". The popular London show, The Lion King has certainly become a phenomenon and still ruling millions of hearts. It took 17,000 hours to build all the puppets and masks involved, and 114 people are needed to prepare for each performance. The music of The Lion King is simply memorable and has won Grammy for Best Musical Show Album and the Laurence Olivier Award for Best Costume Design. The show is adapted from the popular Disney animated film released in the year 1994. The phrase “Hakuna Matata” which means No worries has been said 25 times in each performance of the show.